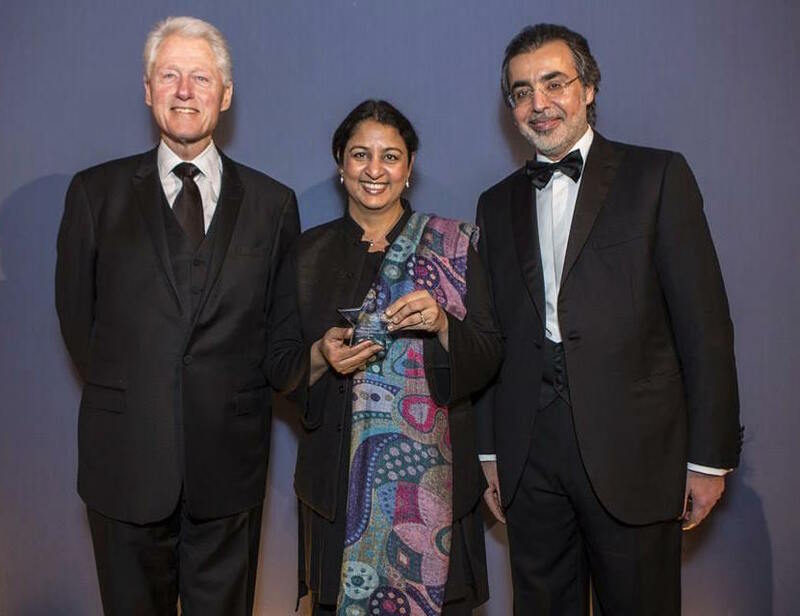 Safeena Husain, Executive Director of Educate Girls, with former President of the USA Bill Clinton and Stars Foundation Founding Chairman HE Amr Al-Dabbagh. This year Stars Foundation, after reviewing 277 applications from organizations around the world, announced Educate Girls as the winner of the 2014 Impact Award for Education in Asia Pacific. The award entitles Educate Girls to 100,000 US Dollars of unrestricted funding and 20,000 US Dollars of consultancy support. The award ceremony took place in London where former President of the USA, Bill Clinton, and His Excellency, Amr Al-Dabbagh, felicitated the winning organizations. Educate Girls are thrilled to have received the award. Stars Foundation invests in organizations and ideas that transform the lives of disadvantaged children and their communities globally. Founded in 2001 by Al-Dabbagh Group and based in London, Stars is an independent charity committed to reaching 20 million people by 2020. By combining their Founding Donor’s entrepreneurial heritage with a longstanding dedication to locally-led solutions, Stars harnesses the insight, assets and ambition of local civil society organizations and private sector companies, enabling them to achieve social change. Ultimately they seek to champion and amplify the efforts of those working on the front line in the fight against poverty and child mortality.